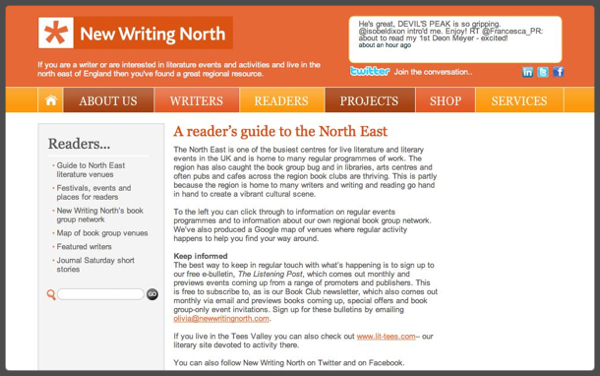 Inovica are pleased to announce the launch of a new website for our long standing client, New Writing North. 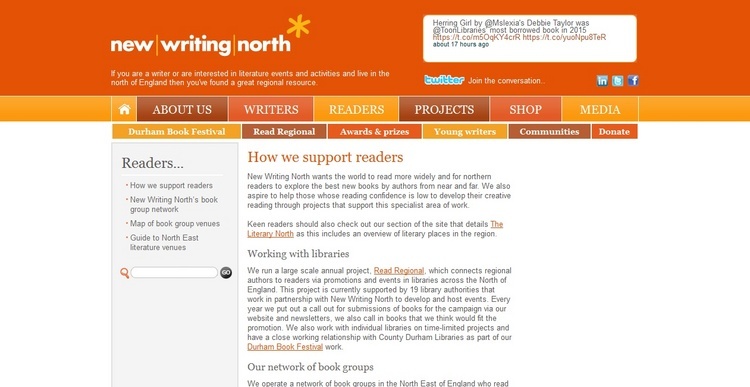 New Writing North is a development agency based in Newcastle upon Tyne. Their focus is on creative reading and writing, and helping to promote and develop relationships between writers, agents and producers across the creative industries. New Writing North approached us to re-develop their website; to give it a fresh look and feel that would be more in-keeping with their work in the creative sphere. 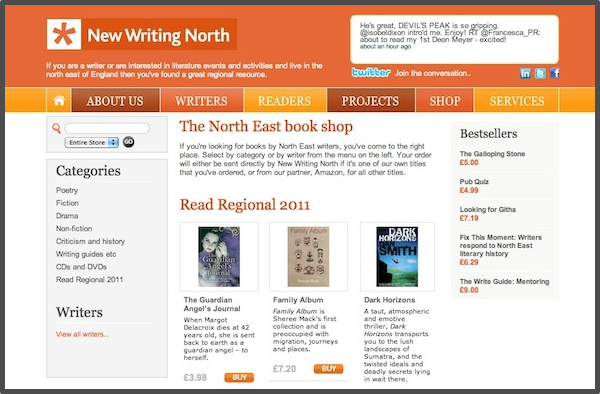 We were also asked to widen the website a great deal, giving New Writing North a greater scope for content on their site, and also a way to interact with their viewers. As well as new logo design, social media integration, and a whole host of useful pages for people who are interested in literature, we also updated the website to include a brand new shop, where New Writing North could integrate with Amazon to sell a range of books to their audience. It was both a pleasure and a challenge to work on the New Writing North website, and we look forward to a continued working relationship with them as their business develops and the find more and more interesting projects to engage in.